Beachcomber Carol found and rescued a live SEAHORSE! I introduced Carol on my November 7 post Shellicious Shelling because she showed me the SERPENT STARFISH and then we saw the LONG-SPINED URCHIN together. She’s also the one that gave me the packaged west coast SAND DOLLAR. She picked “him” up and took this sweet guy to the safety of water where she witnessed his recovery. What a rescue! Carol said she snapped photos (above) as soon as she saw the SEAHORSE and then realized he was alive. SEAHORSES are fascinating fish! Here’s a couple of Fun Facts….. Did you know that the males carry the reproductive eggs then “births” them? Did you know that some species mate for life? To see live SEAHORSES you can visit Tarpon Bay Explorers on Sanibel. On this Thanksgiving holiday, I am thankful for so many things. I am especially thankful for my family, friends, being able to meet people like Carol and to be surrounded by so many beautiful gifts of the sea. Happy Thanksgiving to you as well! I sure would too! Not only to see a live seahorse in the “wild” but to rescue it…. what an adventure. It is a small world, I met Carol this morning and she also gave me a west coast sand dollar. She showed me her find this morning, a gaudy natica. She moved to the west coast after living in an area near me. Nice, nice lady. I forgot, she saw a live baby ears. It was her first time seeing one. I’ve only found 1 dead here in 12 years. I don’t think it’s luck when she finds things, she very observant. How amazingly lucky to see a live seahorse on the beach .. and then to be able to rescue it….as well as take it’s picture for us to enjoy….it is such a sweet looking creature….Is it true that their numbers are dwindling and they may be endangered? Love this post. So happy she was able to save him. What a precious little creature. Did I meet you this week? I’ve met so many nice people, it’s been amazing. Introduce yourself the next time, I’ve got a few more days here. What a rare and special thing to rescue a seahorse! Although – I bet that seahorse was totally freaking out…. But he was rescued and safely returned to the sea by someone who obviously cares so much! Thank you!!! Hi! I just found your site (between setting the table, and starting the rolls). I love it, and am new follower. I’m a blogger/ designer with a new beach house. Although my blog is not specifically a “beach blog”, it will be taking on more and more of a beach flavor in the coming months, as we work on our beach house renovation, and do lots of beach combing. I look forward to seeing more of your beautiful posts! Thank you Carol for rescuing him! Glad he was able to recover after being beached. How wonderful that she saved the seahorse. I’ll have to share this with my grandson. What a great adventure. I volunteer at the Clearwater Marine Aquarium where we take people on a boat out into the estuary and capture marine life with a net to educate and hopefully influence them to become good stewards of our oceans. We do “show and tell” on the boat with the marine life and then release it back to the water. If we capture a seahorse, we must return it to the exact capture location for several reasons. One, seahorses are not very good swimmers so they do not have the ability to cover large distances. They spend all their lives in about a 5′ square area. Two, they typically are tethered by their tail to grass of some other structure so they are not washed out of their territory. They do mate for life (they make little clicking sounds during courtship to find and entice a mate), so returning them to their home and mate is important. If one can’t return a seahorse to it’s exact patch of ground then the next best thing is to get it to a grass bed that is never exposed at low tide. Healthy intact grass beds are key to their survival. Seahorses have been over fished for aquariums and the traditional medicine trade (especially traditional Chinese medicine) and their populations have decline world wide by about 50%. So to see one in the wild is a rare and very special occurrence. Thank you Carol for trying to save it with more help and consideration as you have shown, the seahorse can be around for thousands of years to come. Kudos to Carol for her rescue and to Anna for her very informative comment. I love CMA! Anna- Wow! I did not know they spend their lives in about 5′ square area. I have read that seahorses mate for life …. and then I’ve read it’s a wive’s tale. I’m glad you have backed that for me since I have loved that fact… that’s why I have it on my notecards. Thank you for all of your interesting information here and about the angel wing post too. So much fun to learn about sea life! Thanks for stopping by beachsnaps this morning! Good to have you aboard…I’ve signed up to sail with the rest of your following. Impressive website you have here! awe such a beautiful adventure. i am so grateful that carol was able to rescue the little seahorse. absolutely amazing! This is the nicest thing I’ve read today. I like to think that a pair was reunited. Lucky little creature that the right person came along at that very moment. I LOVE how when you find something live, you actually bury it back in the sand under the water. So glad there are amazing people in this world. Thanks for returning this seahorse to the wild. His / her mate will certainly thank you. I have never been to Sanibel but am eagerly looking forward to a trip in September. 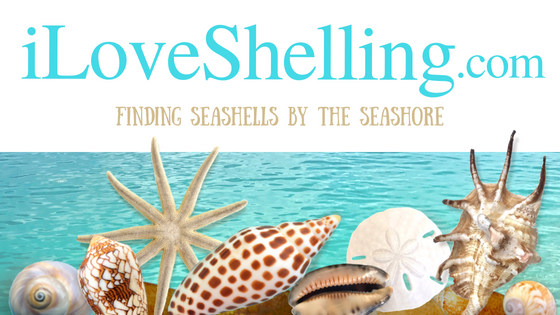 Love looking for shells in the Outer Banks off the NC coast, don’t have any where close to what you all have so you can tell I will be in heaven when I get there. Looking forward to the hunt. Thanks for your blog.